Finding out what other people are thinking and doing is sometimes as easy as hitting that "Next Blog >>" button. That's how you can do it in the Blogger program, anyway, which is where this Two Worlds blog shows up. I have always found it worth my time to browse a bit. I was browsing around about a week or so ago, and I found this blog. Imagine my surprise. That's my son, surfing in my own backyard. 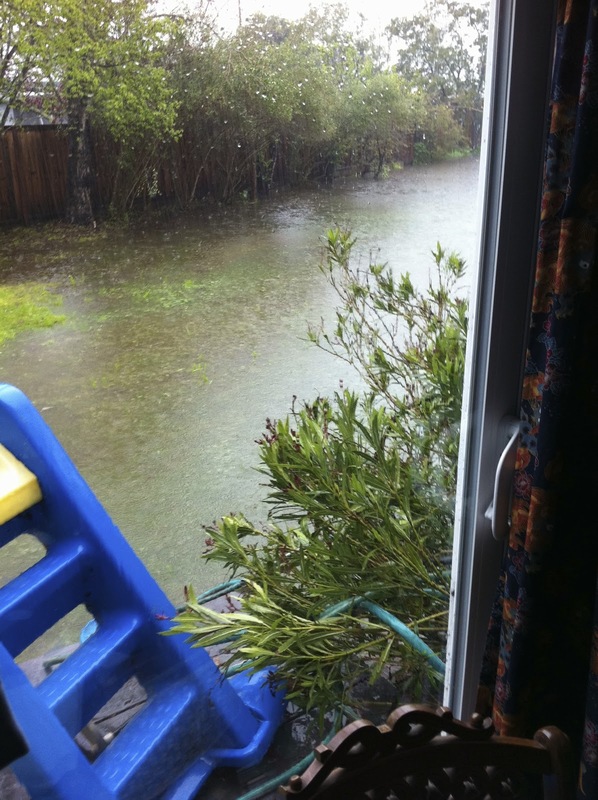 We didn't get that much water in Santa Cruz last winter, but when it does rain in Santa Cruz, an awful lot of water seems to end up on our block, and specifically in our backyard. My son has had lots of other thoughts and adventures, too. His blog is a "Next Blog >>" worth looking into. 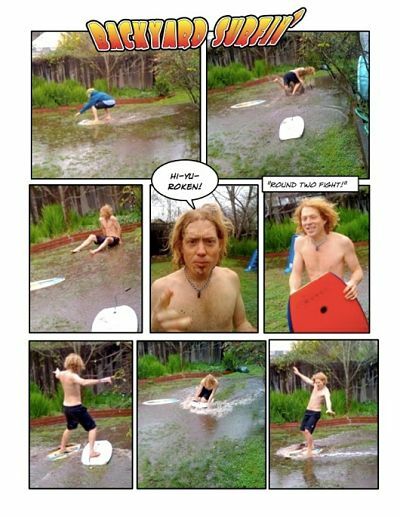 And here is another picture, a kind of proof that this backyard surfin' comic strip does not come to you by virtue of Photoshop! 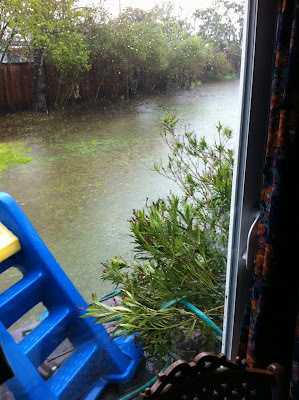 This picture illustrates a rain in March, 2011. None of the water pictured was manufactured through desalination. if water cost as much as desal water is going to cost, wouldn't we conserve? Can we do the experiment of making water cost what desal will cost, and then see if we still need desal? That's an alternative worth discussing! !